Polaris is a leader in the field of snowmobiles, all-terrain vehicles (ATVs), rough-terrain vehicles (RTVs), utility vehicles, and motorcycles. They do not manufacture snow blowers but have accessories such as snow plows that may be fitted to their ATVs and RTVs for clearing snow. Polaris was founded in 1954 by Edgar Hetteen as a farm equipment producer and repair shop. In the winter of 1955-56, three employees built their first “snow machine” while the boss was on vacation. Upon his return, Hetteen did not embrace the product and thought his employees had wasted their time. Nonetheless, passion and excellence prevailed as the company established its reputation in the snow vehicle and racing industry. In the mid 1980s, they shifted their growth into the wider range of vehicles they now produce. Polaris has a range of snow plows that may be fitted to their ATVs and RTVs. Some of these accessories are the 52″ and 60″ Snow Plow Blades, the Plow Blade Top Snow Deflector, the Glacier I Plow System Frame, and the Plow Blade Side Panel Deflectors. The Snow Plow Blades come with a special Lock & Ride™ design which makes for easy fixing and detaching. 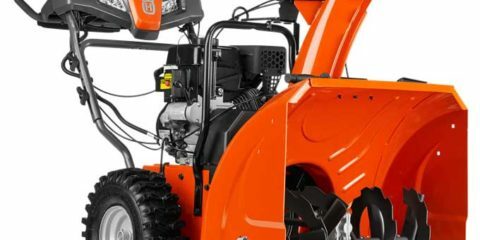 The Snow Deflector is equipped with strong rubber deflector mounts across the topside of the blades which helps to keep snow and dirt from piling over it. This accessory is available for the 48″ and 60″ blades, as well as for the V-Plow. The Side Panel Deflectors are made of metal and intended to help with large loads of snow or dirt. They fit the 48″ and 60″ blades. Polaris offers a factory warranty of 6 months to 1 year against material or workmanship defects in their snow removal products. Products used for commercial or rental purposes have other conditions attached which have to be ascertained at the dealership at the time of purchase.